Functional characteristics: The unique integrated design solves the hidden trouble of the motor base loosening in the original factory. Split type regulation window design can quickly and accurately on the gear position of the motor for fine tuning, can quickly check the main gear and gear meshing condition directly. The whole metal theme can effectively assist the heat dissipation of the motor. 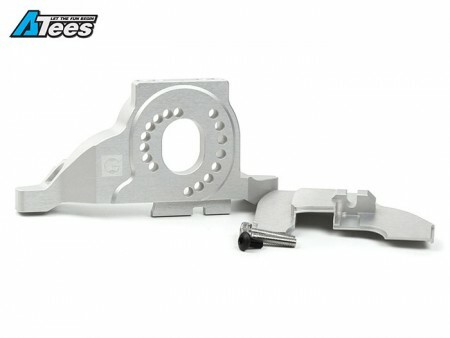 4 screw holes are reserved so you are able to fit a cooling fan directly onto the motor mount. 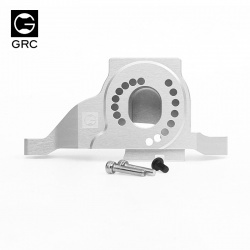 The Traxxas TRX-4 Aluminum 7075 One-piece Design Motor Mount for TRX4 Silver has an average rating of stars based on 6 customer reviews. Exellent quality. Fits really well. Takes slop out of the oem solution, vere rigid. This motor mount is great build, it also let me see if the spur and pinion gear mesh properly, don’t think there are other companies that make this for the TRX 4, a must have upgrade for your TRX 4. Perfect and very good condition for my TRX4.